Everything you could want in an affordable and stylish 43” Full HD LED TV. 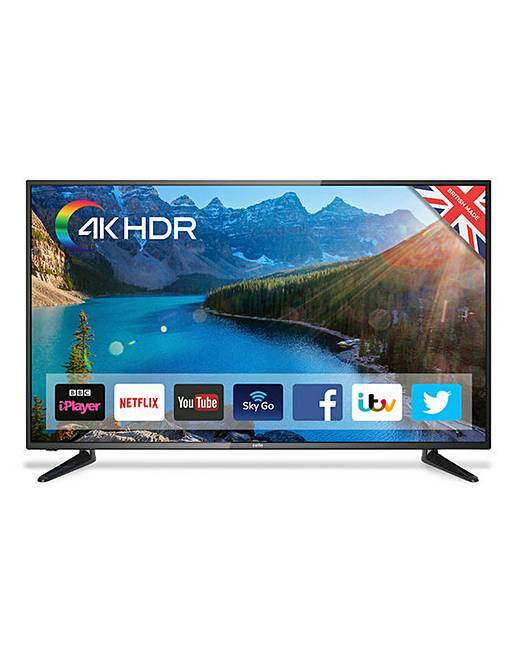 Combining Smart TV features using our superfast Android 7.0 with intuitive user interface, Cello Play and with a 4K Ultra HD screen and a wide range of inputs makes this TV a contender for all types of viewers. Freeview HD Channels are a must for High Def TV and can be enjoyed from setting the TV up. To experience ULTRA HD 4K viewing connect your 4K device via one of the 4 HDMI inputs and prepare to immerse yourself in movies in a way not previously experienced by many. W.969 x D.257 x H.612mm.